Today I stopped by to visit with my dear friend Dana. This was a very special visit as I was not only picking up goodies from her but more importantly I was meeting her son for the very first time! I donned my Pink Furry Pimp Mama Hat (whenever I have to pick up good stuff) and made my way to town. Yes, I'm actually quite used to this reaction whenever I meet a new family member. In fact, during this past Halloween I met my cousin's son for the first time as well at a family gathering. Same thing! Hey wait a minute! Why do the other kids look like they don't know me??!?! Anyways, meeting Dylan today was a highlight for me during my travels into town! Your son is beautiful, Dana and Matt! I'm really looking forward to documenting his growth and watching all of you grow as a family. Wow! What a beautiful Thursday morning to shoot at Lanikai! I was meeting the Ferrer 'Ohana for a sunrise shoot. Along with them came their good friends, Melanie and Casey. Nicole had discovered my work through Facebook. Yes, I'm a Facebook fan and you can find me under Geralyn Camarillo! Okay, so Nicole, Sean and their eight month old son, Max, wanted to do a photo shoot while they were back on island for vacation. Might I add that I'm proud to say that Nicole is a Spartan Alumni (hollah!). Max was born in Washington State so this was his first time to Lanikai Beach! We were all so grateful that it wasn't voggy!! And then of course, Mommy AND Daddy!!! And if an auntie or uncle are there to assist and enjoy the morning, we'll get them involved as well! 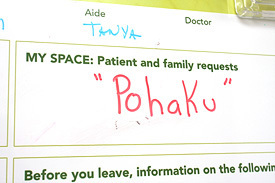 In true Hokuli'i style, NO ONE gets left behind!! I love this shot of Nicole and Melanie. They're BFFs from Seattle University. Goooo Bellarmine Hall Girlz! When I'm shooting with babies and toddlers I know that our window of Happy Time is extremely brief. We just roll with whatever way they're feeling! Speaking of awe and wonderment...may I just share with you that even my friend's dog, Koa, who just happen to be on the beach that morning, is always curious about everything! Check out this routine he has on the beach. He likes to dig up the crab holes until he gets deep enough to scare a crab out of hiding! Isn't that just crazy??? Look at that crab holding his own! You go crabby!!! So here's Max feeling so much better without his cumbersome shirt and shorts. See that? A true local boy! This is a sign to take a dip in the ocean with mommy and daddy! Warmer than Seattle's frigid waters but still a little too cold this morning! That's okay, peeps. Max is still a happy boy!!! MAHALO NUI LOA, Max, Nicole, Sean, Melanie and Casey for a wonderful sunrise shoot at Lanikai Beach! It was super hanging with you and I can't wait to see you again the next time you visit! Welina mai, to the newest member of the Ludington 'Ohana! Congratulations, Darci, Scott, Auli'i and Hi'ilei!!! Can't wait for little sister to be a part of your photo journey!!! The Ortiz 'Ohana on Election Day! I started this much anticipated Election Day with a very exciting moment - meeting Ha'akea, Ihilani Richardson and Curtis Ortiz's beautiful six month old little girl! I've known Ihilani and Curtis since 2003. Back in the days of film when I shot their wedding! They have graced my previous website with their contagious smiles. That's how I totally remember them! Smiley and soooo IN LOVE!!! 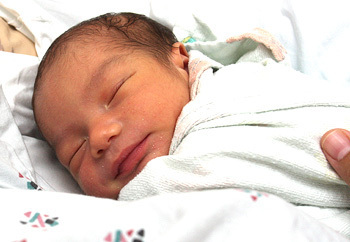 This morning, I met the product of their love, little Miss Ha'akea Ortiz! And Curtis as a proud daddy! No wonder her parents can't get enough of her! Look at her! Baby is PAU! And that's a wrap, folks! Mahalo, for your smiles, Ha'akea! Thank you for getting up so early for your first photo shoot with Auntie G! 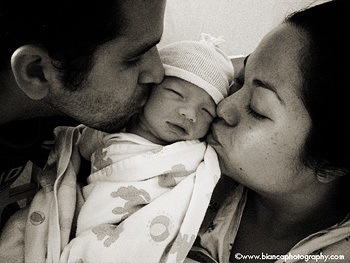 Ihilani and Curtis, MAHALO for remembering me and for allowing me to document this beautiful circle of life!!! Can't wait to see you guys again for her ONE year! Happy 3rd Birthday, Baby Daisy!!! Today we celebrated the birth of one of my most favorite nieces in the whole wide world - Baby Daisy!!! Her parents, who are my close friends, threw a fun get together at their family's home in Kaimuki. I haven't been to a kid's backyard birthday party in soooo long! It was sooooo REFRESHING to feel the grass under my feet and talk to live people! I'd have that over watching an oversized mechanical mouse with the last name Cheese and a bunch of his mechanical friends singing songs with limited arm and head movements! You got it! Good ol' George himself! Canine Baby Daisy!!! Isn't she so dang cute??!!? Yes, it was awesome to see and hang with the gals. The kids had a lot of fun. Baby Daisy had fun pulling her fellow curly-haired cousins around. Baby brother, Pohaku, had a fun time hanging out and watching from his 3mnth old point-of-view! When I saw Ricky hanging these powdered sweet treasures I almost had a cow!!! 2) I really, really wanted to have a powdered donut! I have NOT had one in a million, cajillion years!!! I had to take my mind off of the LOVES temptation hanging in my face, so I decided to take a spin on one of the nearby Tyke Bikes. In the meantime, the kids were getting ready for the big event of donut eating! She's so proud of herself! EVERYONE walked away a WINNAH!!! After completing a sugar-loaded-donut-eating contest, what should one do???? Have cake and ice cream, of course!!! The evening ended happily, with everyone camped out in front of the backyard fence to watch, of course, Curious George - the Movie! Sweet!!!! You know what's sweeter??? Would turn out to be a couple of my closest and dearest friends... Life has a magical way of presenting us with such beautiful gifts!!! Happy Birthday, Baby Daisy! May you and your 'ohana ALWAYS be surrounded and infused with unconditional love, joy and abundance!!! and then their wedding photos! I'm photographing their first born, Kawena!!! This is Kawena's ONE year old portrait. 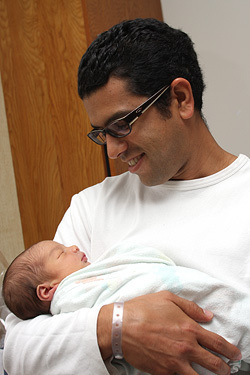 He was born in 2004.
and to finally meet their SECOND child, Anela, who was born in 2006! We've tried several times to get together to shoot over the years but you know how it goes. Schedule conflicts, things come up, etc. I'm glad that we finally were able to sync our schedules and do a photo shoot in their home this morning. If a two year old is NOT ready for their close up then they'll blatantly make it known that they're NOT ready! When moments like this occur, I just keep rolling! Because they don't want to be excluded, the next thing you know, they're back in the game! Oh, and of course, it helped that mommy and daddy kept telling Anela that there is a Mo'o (gecko) in my camera and that she had to look really hard to find it in my lens. That, of course, intrigued her and wouldn't you know it? Daddy caught the Mo'o (he had one secretly stashed already in the back yard) that was in my camera and gave it to Anela! Anela was very pleased. Interestingly enough, Nicole told me that Anela's first words weren't the traditional "mommy" or "daddy." It was, "mo'o!!!" One thing I really enjoy is shooting in my clients' homes. I was scheduled to shoot today at 11:00am. As all of you know, that's the time when it really starts to sizzle outside especially during the summer! Thanks to AC, we were all comfy and everyone was happy to be photographed! Being in the kids' environment helps them to be more comfortable with me. They're always excited to show me the things that make them happy. As a four year old RIGHT NOW, Kawena's favorite toy/hero is the big green guy himself, The Hulk! And I think every Marvel Comic Super Hero on the planet!!! Time to stimulate the mind! Other Princesses like herself, of course!!! She wanted to show me her jumping skills in her princess room. Oh! And the fact that she has her own house in her princess room!!! Yep! Soak it in now mommies and daddies out there! You know, ten years from now it's NOT going to be lookin' like this!!! Right, Anela??? With that, I decided that it was time to depart the Lee household and bid them farewell until next time! Mahalo, Nicole, Sohn, Kawena, Anela and Mehana for allowing me to spend some time with you! Can't wait to see you again! Oh! And HI to Hina Girl, the Senior citizen of the Lee Clan!!! So sorry you had to hang out outside while I photographed your 'ohana, little one. You are such a good girl, Hina! F.A.Q. - So what do we get??? A frequently asked question I get is, "So what do we get after our fun photo shoot is pau (done)????" 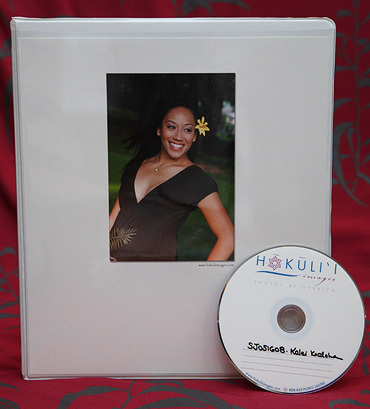 Whether it be a Senior/Graduate, Keiki, 'Ohana, or Engagement, the end result is a magnificent Proof Catalog!!! The images are laid out, 10 images per page. The JPG number under the image corresponds to the HIGH RESOLUTION images on the DVD or CD that you receive. Along with the Proof Catalog and CD/DVD, you receive a Copy Right Transfer Form to help make reprinting at your local lab easy. Hawai'i Pacific Photo. 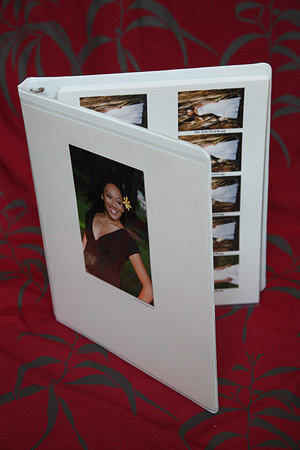 A professional lab, like HPP, would know how to correctly print your images for you. Therefore, making the images I've shot for you look presentable and professional. 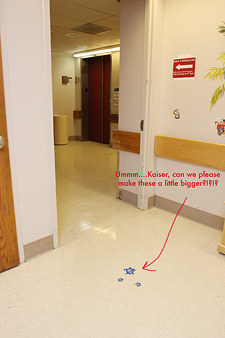 Before our wedding today, Daisy and I ventured to Kaiser Moanalua Hospital to visit one of our dearest friends and J.U.G.s members who gave birth on May Day! When we walked into the hospital, the directory near the front desk gave us no obvious information on where to go to see those who have just added another human being to the human race! Fortunately, Daddy Ricky showed up to help guide us to his wife's room! He said we were supposed to follow the HONU STICKERS on the floor. I was like, "What honu stickers?!?!?" Okay...these honu stickers were so dang tiny!!! 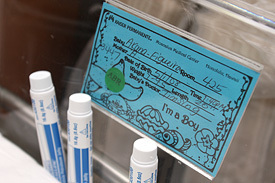 And WHERE does it say we're supposed to follow these honu stickers?!?!? That directory in the entrance of the hospital surely didn't state that! I'm glad Ricky showed up when he did! Thank you Universe!!! Oh my gosh! This newborn is soooo cute! Look at him smiling!!! He's totally like his sister, mother and father. All smiles!!! Auntie Daisy loves children. Especially little babies! She's such an awesome mommy and couldn't resist holding this little bundle. I, on the other hand, decided to stick with holding my camera. Here's daddy (our very own human GPS system)! 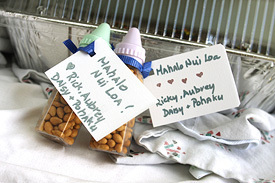 MAHALO Auntie Bee and Uncle Grant for this tender trio shot! They got to visit with everyone yesterday before their wedding as well. Time to celebrate, J.U.G.s!!!!! I've entitled this image "Milestone."